To effectively study paleoanthropology, one must understand that it is a subdiscipline of anthropology and have a basic understanding of archaeology dating techniques, evolution of cultures, Darwinian thought, genetics, and primate behaviours. Diversity of human cultures observed in past and present. Human beings in all of their biological, social, and cultural complexity. Many other disciplines in the social sciences, natural sciences, and even humanities are involved in study of human cultures. Examples include: Psychology, geography, sociology, political science, economics, biology, genetics, history and even art and literature. This field can trace its roots to processes of European colonization and globalization, when European trade with other parts of the world and eventual political control of overseas territories offered scholars access to different cultures. Anthropology was the scientific discipline that searches to understand human diversity, both culturally and biologically. Originally anthropology focused on understanding groups of people then considered "primitive" or "simple" whereas sociology focused on modern urban societies in Europe and North America although more recently cultural anthropology looks at all cultures around the world, including those in developed countries. Over the years, sociocultural anthropology has influenced other disciplines like urban studies, gender studies, ethnic studies and has developed a number of sub-disciplines like medical anthropology, political anthropology, environmental anthropology, applied anthropology, psychological anthropology, economic anthropology and others have developed. 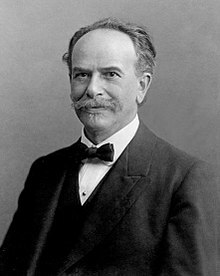 Franz Boas is considered to be the founder of modern anthropology. Process of language acquisition, a phenomenon that is uniquely human, as well as the cognitive, cultural, and biological aspects involved in the process. Through historical linguistics we can trace the migration trails of large groups of people (be it initiated by choice, by natural disasters, by social and political pressures). In reverse, we can trace movement and establish the impact of the political, social and physical pressures, by looking at where and when the changes in linguistic usage occurred. Animal bones, plant remains, human bones, stone tools, pottery, structures (architecture, pits, hearths). Evolution of hominids from other primates starting around 8 million to 6 million years ago. This information is gained from fossil record of primates, genetics analysis of humans and other surviving primate species, and the history of changing climate and environments in which these species evolved. Evidence of hominid activity between 8 and 2.5 million years ago usually only consists of bone remains available for study. Because of this very incomplete picture of the time period from the fossil record, various aspects of physical anthropology (osteometry, functional anatomy, evolutionary framework) are essential to explain evolution during these first millions of years. Evolution during this time is considered as the result of natural forces only. Paleoanthropologists need to be well-versed in other scientific disciplines and methods, including ecology, biology, anatomy, genetics, and primatology. Through several million years of evolution, humans eventually became a unique species. This process is similar to the evolution of other animals that are adapted to specific environments or "ecological niches". Animals adapted to niches usually play a specialized part in their ecosystem and rely on a specialized diet. Humans are different in many ways from other animals. Since 2.5 million years ago, several breakthroughs have occurred in human evolution, including dietary habits, technological aptitude, and economic revolutions. Humans also showed signs of early migration to new ecological niches and developed new subsistence activities based on new stone tool technologies and the use of fire. Because of this, the concept of an ecological niche does not always apply to humans any more. Further modules in this series will focus on physical anthropology and be oriented toward understanding of the natural and cultural factors involved in the evolution of the first hominids. This page was last edited on 19 August 2018, at 14:51.